Huckster Design is a full service ad agency minus the agency. What that means is- we have all the bells and whistles without the outrageous prices and the unnecessary industry jargon. We were founded based on a simple vision. We only produce work that we are proud of for people we respect. We are based out of one of the greatest cities in the world- Austin, Texas, where inspiration can be found on every street corner. Our clients, however, are spread out all over the globe, dawning from every industry imaginable. Our philosophy is that anything is possible. If it’s never been done, even better. We’re constantly trying to one-up ourselves. Not only do we build it right, we make it beautiful…this is where creativity and technology collide. 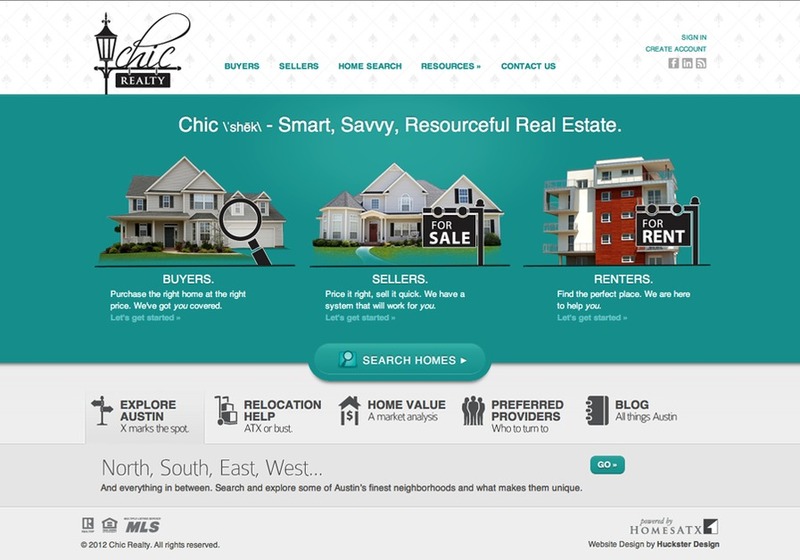 Please visit chicrealtytx.com to view the full site.